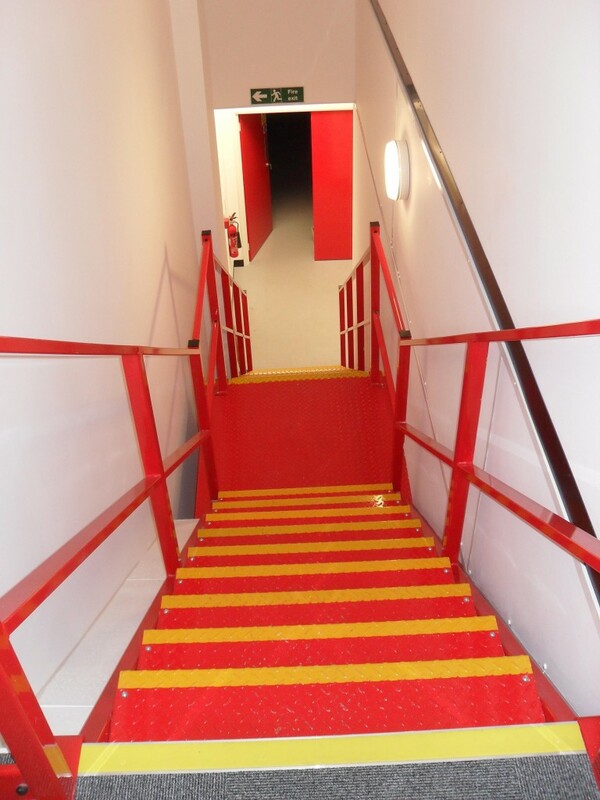 Hampshire Mezzanine Floors have recently completed another fit-out for world-leading fiber laser suppliers, SPI Lasers. SPI Lasers are an ever-growing leading company in the fiber laser design and manufacturing industry. 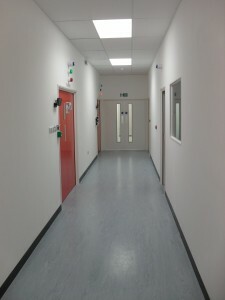 HMF were asked to be the principal contractor and fitted large mezzanine offices, laboratories and rest and welfare facilities. 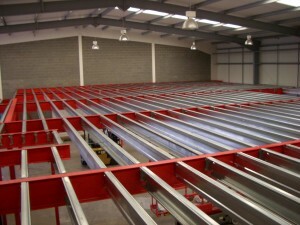 As main contractor, Hampshire Mezzanine have now completed three mezzanine floor installatons on this site. SPI Lasers also required an external gas bottle store, allowing palletised cassettes of gas bottles to be fork lifted with ease off lorries and then connected to the regulators mounted on the rear plate of the cantilever track provided by HMF. 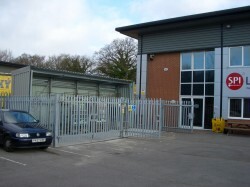 HMF fitted external clad cantilever racking as well as external galvanised palisade fencing to form a secure gas compound. HMF excavated and cast a new re-enforced concrete slab to withstand frequent fork truck movements. This new facility stores various forms of gas required for all the laboratories and are now fed from this one location, thereby saving SPI Lasers a large amount of time in changing individual gas bottles throughout the laboratory area whilst in a safe and controlled manner.